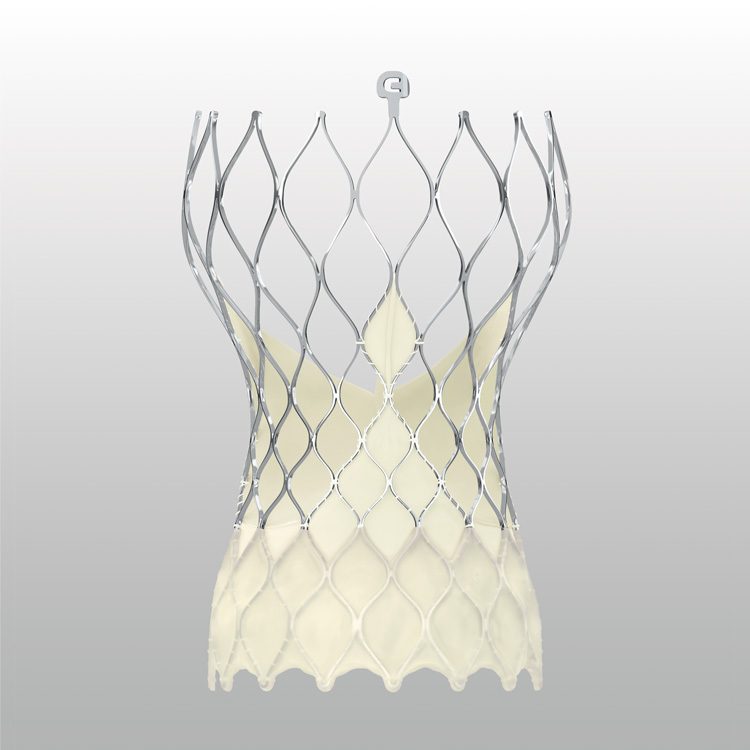 Image showing the outer wrap of the Evolut PRO Transcatheter Aortic Valve. After two years, 5.3 percent of the Medtronic TAVR patients and 6.7 percent of the traditional surgical valve patients had either died or had a disabling stroke — outcomes so close that Medtronic’s TAVR valve was judged “non-inferior” to the surgical alternative, the study data show. However, 19.4 percent of the TAVR patients ended up with an implanted pacemaker, because of how the valve presses against the heart tissue, while 6.7 percent of the traditional surgery patients received a pacemaker. More than 1,400 people were randomized to one of the two options in that study. Looking at the Edwards study, at one year, 8.5 percent of the TAVR patients died, had a stroke or were rehospitalized, compared with 15.1 percent in the surgery group — a difference wide enough to call TAVR “superior” in the one-year time frame, the study said. Pacemaker rates were the same in both groups, but the percentage of patients who got an electrical problem in the heart called left-bundle branch block was 23.7 percent in the Edwards TAVR group, and 8 percent in the surgical group. Today, Medtronic’s Evolut and Edwards’ Sapien TAVR valves are approved only in patients who face a high or intermediate risk of dying from traditional surgery. Many doctors came away from Sunday’s presentations enthusiastic about the devices’ performance in low-risk patients. Doctors presenting TAVR data at a cardiology conference on Sunday received standing ovations. Medtronic to Pay Up to $458 Million for Device Firm Twelve Inc.